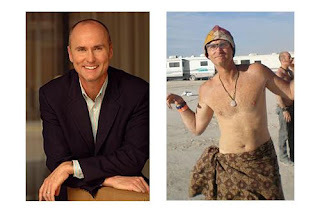 Experience: The Blog: Chip Conley and Authenticity vs. Transparency : Which is More Important? Chip Conley and Authenticity vs. Transparency : Which is More Important? Transparency and Authenticity are both important in Social Media and in our newly Social World, but what's the difference and which is more important? The two are often used interchangeably, but authenticity is not the same as transparency. Complete transparency may be thought of as revealing every private, confidential, or personal thought or experience; complete authenticity is more about being true to your ideals and never being fake or untruthful. Chip Conley, CEO of Joie de Vivre hotels, has provided us a lens through which we may evaluate the difference between--and the differing significance of--transparency and authenticity. You can read about Conley's dilemma on BNET, but it boils down to this--he's a rock-and-roll CEO who lives large and believes in authenticity. Some of his employees objected when he posted shirtless photos of himself to the Facebook profile the company PR firm created for him. He believes his employees are wrong to be concerned and asks "What, exactly, does it take to damage the image of the company?" It's a great question, and the fact he asked it publicly in a blog post teaming with slights to his employees and justifications for his actions may furnish the answer he seeks. I think a case may be made that Conley has damaged his company, but not because of his Facebook photos; it's his actions after his employees voiced their concerns--actions that prioritize transparency over authenticity--that may possibly prove troublesome for Joie de Vivre. In making the concerns of his employees and his own reaction public, Conley has opted for transparency over authenticity. Airing his grievances with employees was transparent, but it would have been more authentic to discuss the matter with his employees. Remember that authenticity means keeping true to ideals, and it is clear Conley has an ideal that employee opinions matter. He is proud to have implemented a "cultural ambassador" program in which employees vote for their own representatives on matters of organizational culture. In fact, it was some of these ambassadors who expressed concerns about Conley's Facebook shots! Conley's desire for transparency ran headlong into his commitment to authenticity, and he opted to voice his opinions and seek support from outsiders rather than demonstrate care and respect for his ambassadors' feedback. I believe he was transparent, but violated his own ideals, which was inauthentic. This isn't the first time we've seen transparency collide with authenticity, nor is it the first reminder that authenticity always wins. Cisco rescinded a job offer because the candidate tweeted she was weighing "a fatty paycheck against... hating the work"--transparent, but not authentic to her personal and professional goals, I suspect. A PR firm Social Media consultant found himself in a very public embarrassment after tweeting that he "would die" if he had to live in his client's hometown--completely transparent, and also completely inauthentic in terms of his professional ideals. So, my answer to Conley's question--What, exactly, does it take to damage the image of the company?--is that his photos didn't cause harm, but his overly transparent way of dealing with an internal issue may have hurt his relationships inside the organization. He failed to honor his ideals that employees--particularly the ambassadors--have opinions that matter, and in doing so he made transparency more important than authenticity. What do you think? Was Conley authentic by venting his feelings publicly? Do you think he'd be as accepting if one of his employees chose to post internal disagreements on a blog rather than address them directly within the organization? And in a Social World, is it possible to be transparent but inauthentic? Well written. Transparency is for children or those too lazy to learn the value of discretion and sound judgment. Years from now, we are going to recoil in horror when we reflect on the obsession with transparency that has permeated the world of social media -- just as we wince at hubris that characterized the dot-com era of 1999. I do believe in openness, but not transparency unchecked. I'm going to have to come down on the side of authenticity. Being true to your organization's culture, core values and ideals should address the whole transparency issue if one of your values is openness and honesty. Transparency always needs to be accompanied by sound judgment. Does anyone really think that everything an organization does should be open to review by the world at large? That just seems naive. I really found this post interesting. But the thing I wanna tell you the photo was quite funny. Keep posting. Authenticity and Transparency both are necessary but it depends on the place. If you are in a professional relationship or office culture needs authenticity over transparency. If you are at home in any other close relationship there transparency needs rather than authenticity.